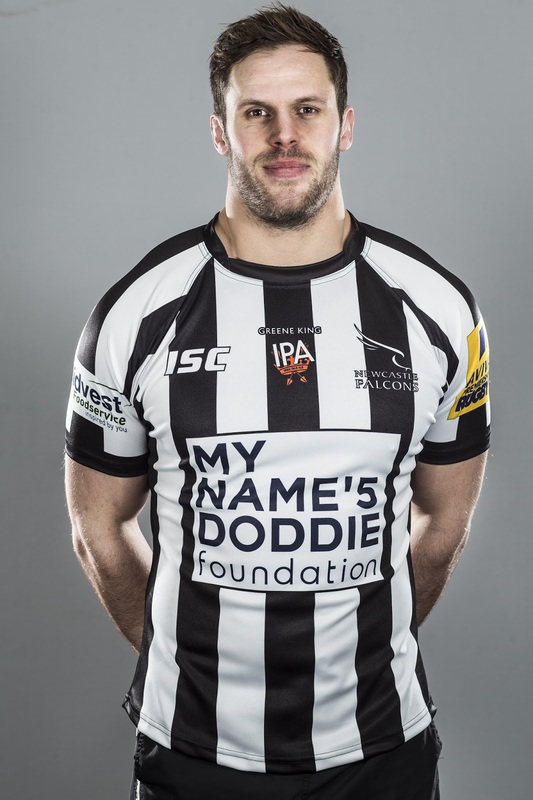 TOTAL FLANKER...a rugby blog: Toon, Toon, Black & White Army! Long time readers of this blog will know that I am no fan of the new-fangled, tight-fitting, multi-coloured, sponsor-laden monstrosities which purport to be rugby shirts these days and yearn for the thick, heavy cotton, warm and comforting garments of bygone days. 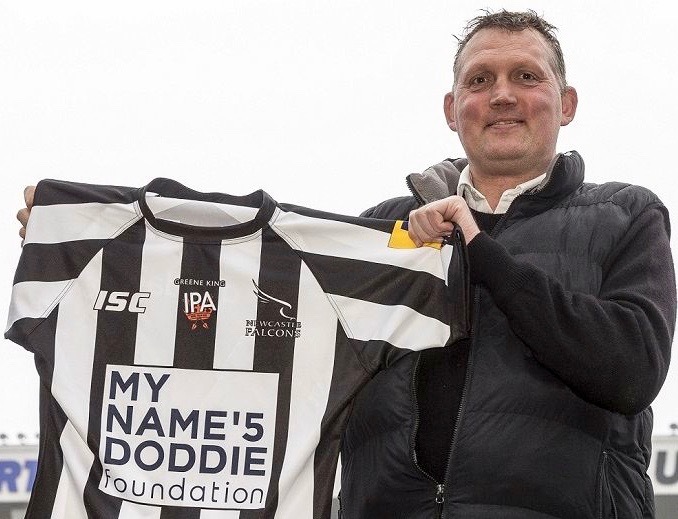 That said, may I express my 100% support for the decision of Newcastle Falcons to wear a special edition black and white striped shirt when they play Northampton in 'The Big One' at St James' Park on Saturday 24th March in aid of the My Name'5 Doddie Foundation. (Please click here for for more information on the My Name'5 Doddie Foundation).